Everyone has a dream in life, some want to be a doctor while others want to be a famous rock star. I never really knew what I wanted to be. I spent over thirty years going through the motions of life. I got married had a baby, got divorced, waitressed, met the man of my dreams, went back to school, had a another baby, finished school, worked as a nurse, got married, had another baby and became a stay at home mother. I asked myself, what’s next? What am I to do now? I have the most important job in the world, raise children. Now what if I fail at that too? My husband and my three children are the world to me and I want nothing more than for my family to be happy and follow their dreams. How do you teach a child to follow their dreams when you don’t even have any of your own? Well a few short years ago I finally found my dream, to write. I now have something to inspire my children as much as they inspire me. In November of 2009 my oldest daughter handed me a book and said mom you have to read this. I wasn’t an avid reader but reluctantly took the book. I then read the entire series of 4 books in as many days. I wasn’t able to stop reading and thought to myself I can do this. I always enjoyed writing, but it was more of what I was feeling. Could I write an entire novel? Well I have answered that and it’s YES. Matter of fact I have write several in just over three years and even got a publishing deal. The first four books in my Embrace (YA paranormal romance) Series have already been released. I accomplished so much when this happen. I wrote some books, I got published, I taught my children that anything can happen if you work hard and believe in yourself and most of all I now have a dream. 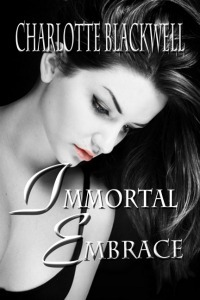 Immortal Embrace released on July 1, 2011, with Forbidden Embrace, Mystic Embrace and Everlasting Embrace all releasing in less than a year of book 1. Who could ask for more? Well its human nature, we always want more. So my next dream was to become a bestselling author. Oh wait I was lucky enough to hit the Amazon best seller list with Immortal Embrace only 6 months after its release. So now what? Well I have an agent who is now shopping the Embrace series around for film options. Wouldn’t that be amazing? I guess this is where the magic of dreams comes in to play. I’m a huge believe in the power of positive thinking and the laws of attraction. I could write pages on pages of personal experience to prove this theory. One example is my husband. He was laid off from his job and was having a hard time finding another, due to cut backs and such. He hadn’t worked in months. I told him to make a list of things he wants, bet to do it as if he already has it. The last item on his list was I have a great job to support my family. Within five minutes of putting the pen down, the phone rang. My husband was offer a job at a higher rate of pay than his previous one. Now I also made a list of my own. One of the things on my list was to be a bestselling author by January of 2012. This came dream came true for on January 14 and 15, 2012 Immortal Embrace made it to #1 on the Amazon Kindle best seller list. It not only made lists in the US but also in the UK, Germany and France.